How to watch Roberto Saviano: Writing Under Police Protection (2016) on Netflix Austria! 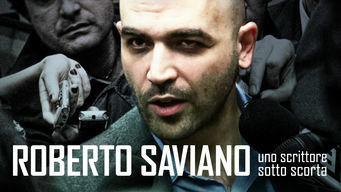 Yes, Roberto Saviano: Writing Under Police Protection is now available on Austrian Netflix. It arrived for online streaming on July 27, 2018. We'll keep checking Netflix Austria for Roberto Saviano: Writing Under Police Protection, and this page will be updated with any changes. Italian TV host Pif revisits Roberto Saviano, who's been living under protection since publishing "Gomorrah," his exposé on organized crime in Naples.